Episode One of the Kiwi Running Show. Ladies and gentleman we have arrived! This is your weekly dose of everything running and New Zealand. 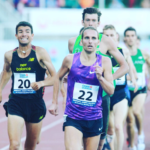 This week we check in with Kiwi mile legend Nick Willis as he is fresh off his season opener … a healthy third place and 3:34 (1500m) in the Birmingham Diamond League. We also share local running news and catch some insight into the who, what and why surrounding the Kiwi Running Show. 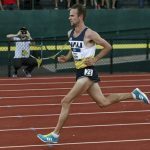 This entry was posted in Kiwi Running Show, Uncategorised and tagged Christchurch Marathon, Diamond League, Manawatu Marathon, Mount Joggers Half, Nick Willis, podcast. Bookmark the permalink.